First things first, it’s a really poor show on behalf of those in charge of this production at the Lowry that there was no announcement or any mention of the fact that the understudy for the main part was on. Not for any sniffy reason about wanting to see Ben Forster but rather that it denied Colin Burnicle his spot in the limelight on the first occasion that he got to play the role of Buddy the Elf. A 90s musical of an 80s film – nostalgia has a lot to answer for but it was to Maltby Jr and Shires’ 1996 adaptation of the Tom Hanks-starring film that producers turned for their big Christmas musical at Bord Gais Energy Theatre in Dublin. 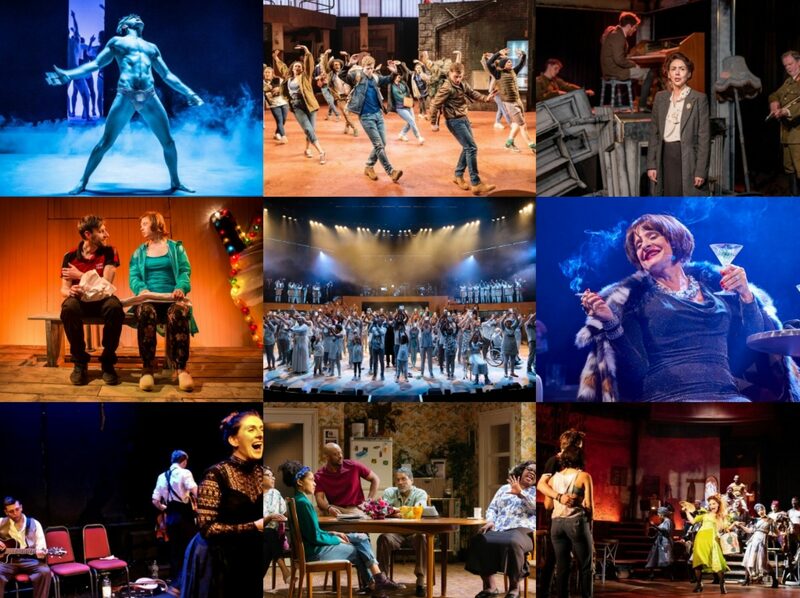 Morgan Young’s production also had a short run at the Theatre Royal Plymouth and with the creation of this UK cast recording, you wonder whether further plans were in the pipeline for the show. Just a quickie for this unexpected revisit to Great Britain. 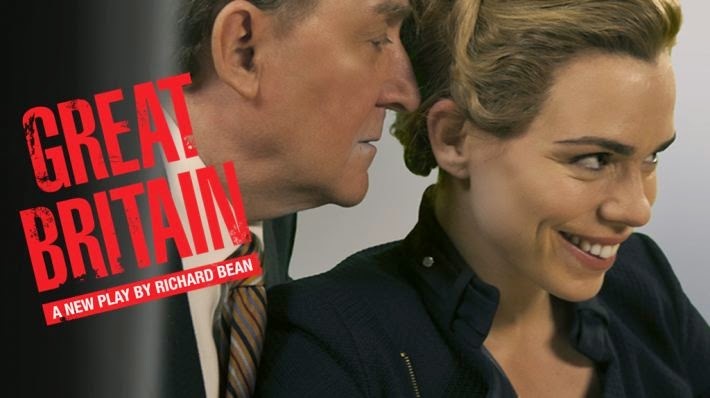 I hadn’t intended to go back to this Richard Bean play, which made a rapid transfer from the National Theatre to the Theatre Royal Haymarket after its up-to-the-minute emergence on the schedule after the culmination of a certain trial involving a certain Eastender-star-bashing redhead. But the offer of a good ticket and the chance to see Lucy Punch – of whom I’ve heard much but never seen on stage – tempted me once again into this murky world of tabloid junkies. My original review can be read here and if anything, I think I might have been a little kind to it. The play hasn’t aged well, even in the six months since it opened as the fast-moving world of political, institutional and journalistic scandal moves on so quickly IRL that this fictional version already seems quaint. Add in that its bite has been evidently neutered by legal threats and its intelligence barely scrapes the surface of the ethical issues at hand, and it’s a bit of a damn squib for me. Punch was good though. With music from Benny Andersson and Björn Ulvaeus of ABBA and conceived by Tim Rice who also contributed the lyrics, the 1980s musical Chess had grand ambitions which have never really come to fruition as it remains a show that has been revised as often as it has been revived. 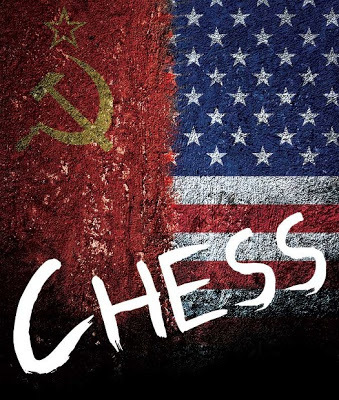 This new production at the powerhouse of intimate musical theatre that is the Union is a version which has been sanctioned by Rice himself as the definitive version of this story of a love triangle in the world of international chess competitions set against the backdrop of the Cold War. But the potency of an intimate venue has to be carefully captured in order to make it truly work and this is where Chess comes a little unstuck.